The V Blade Trimmer is perfect for cutting paper and card. Cutting length1 2.5" / 30.5cm. Hinged clear bar with measurements making it easy to open and slide your cardstock into position. 4" / 10cm rules on the top, middle and bottom of the timmer making it easy to cut and measure your card in any position. 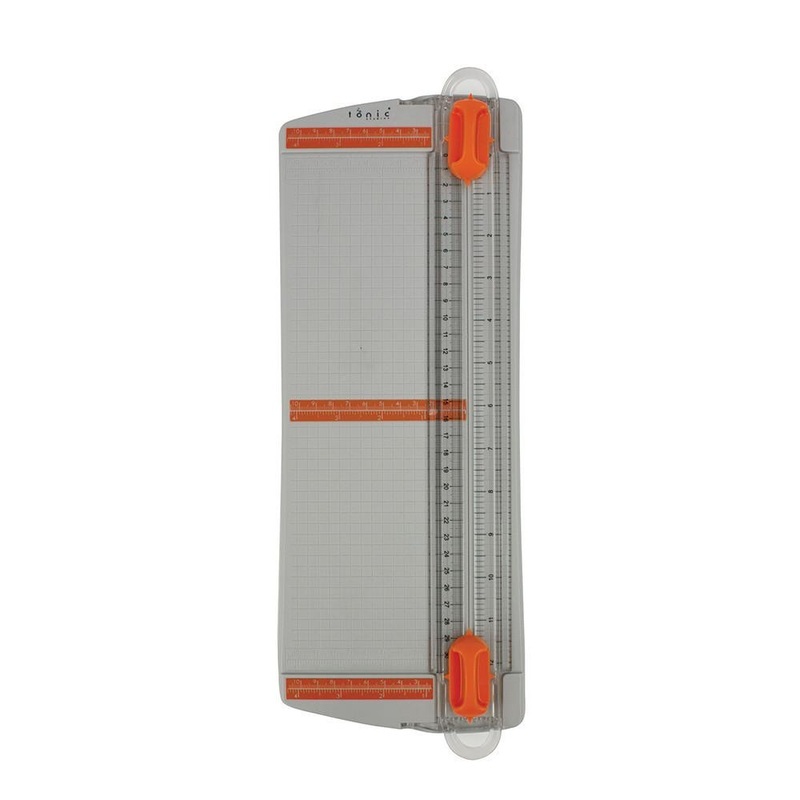 Extendable folding ruler to measure widths over 12" / 30cm. Non-slip feet to securely work and cut on your tabletop.